Here it was upon me! My daughter’s birthday. After attending several parties for her friends, she made it clear she wanted one of her own. If you have been to a children’s birthday party (any child between 2 and 6) you know keeping them “engaged” is key! 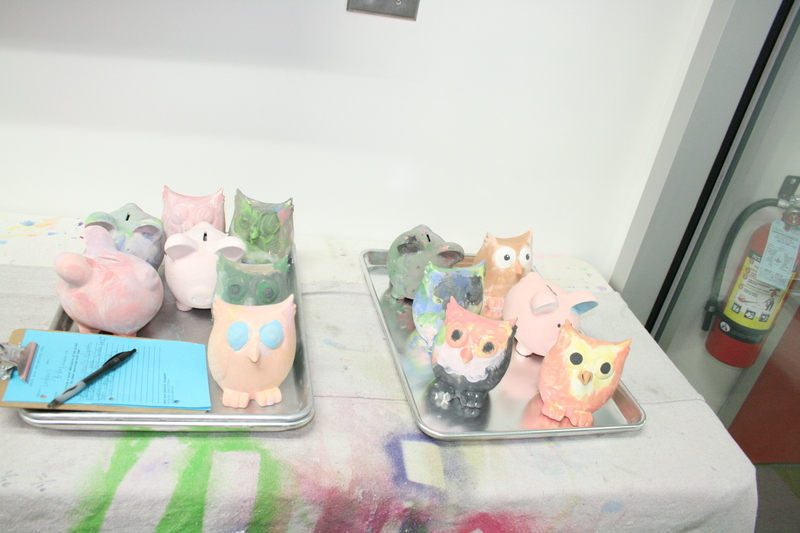 I settled upon a “Paint Your Own Pottery” party at a glorious art space called Fiber Flame located in Saugerties, New York (www.fiberflamestudio.com). It is a trek for those from New York City but truly a haven in the Hudson Valley, home to many city “weekenders”. Looking for design inspiration and party ideas? 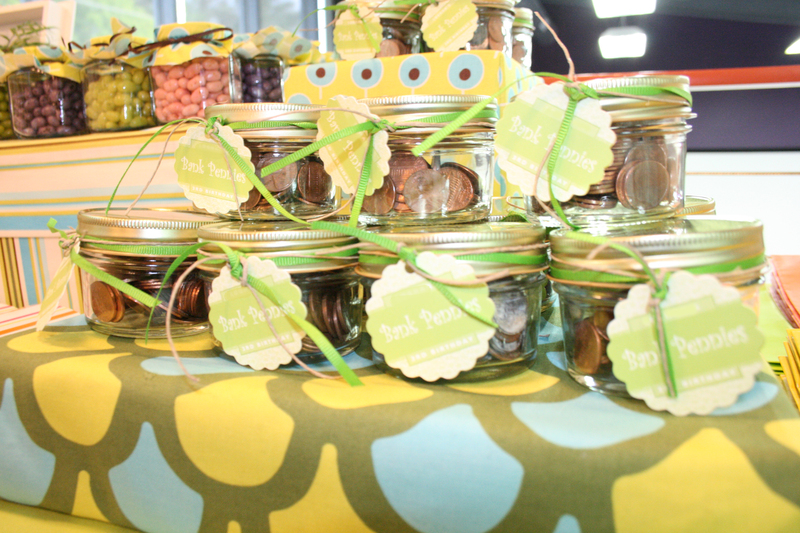 Here are some of the party ideas that helped make the good times roll! 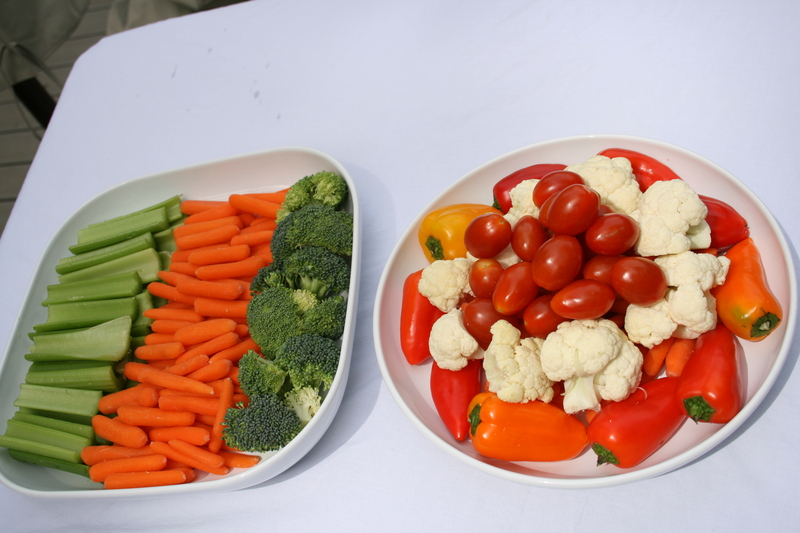 When throwing a children’s party “adult snacks” are key. 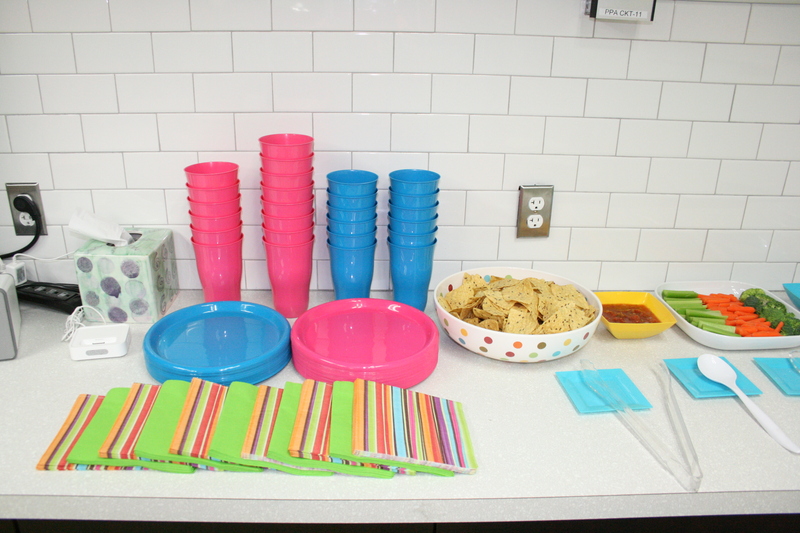 These colorful goodies came straight from SAM’S CLUB. I simply re-plated them on white china from IKEA. 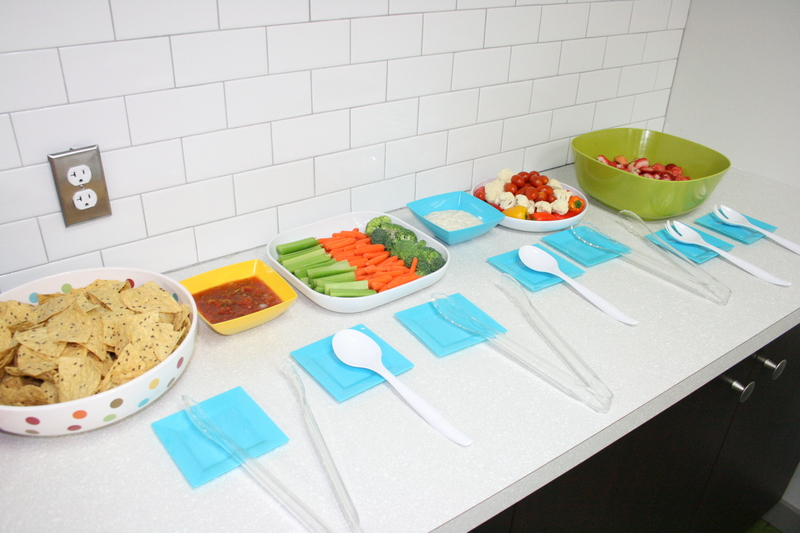 I chose to plate/bowl all of the food in color bowls, using turquoise appetizer plates as rests for serving utensils. Powder blue buckets were used to store knives and forks for guests. Instead of just going with white or solids, try mixing in stripes. 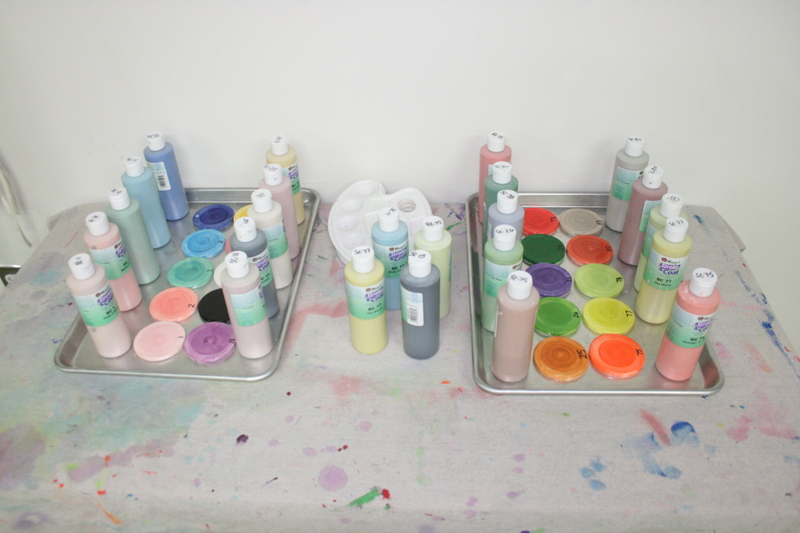 Also don’t be afraid to mix and match bold colors! Similar to having a outdoor event such as a wedding, don’t try to compete with your existing decor. Here, I chose white and lime green lanterns to complement the floor tiles. Each lantern was hung with a coordinating chocolate brown ribbon, to match the cabinets in the room. 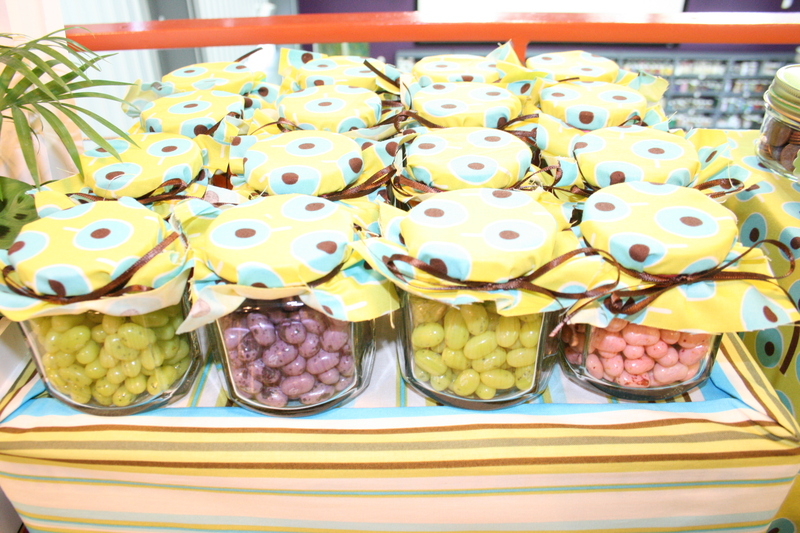 One of the party favors was jelly beans. I specifically wanted solid colors as opposed to an assortment. I quickly found the only way to achieve this was to go the “gourmet” route. Thank you Jelly Belly! I wrapped ordinary shipping boxes in fabric to make the table look festive and create tiers for the various favors! 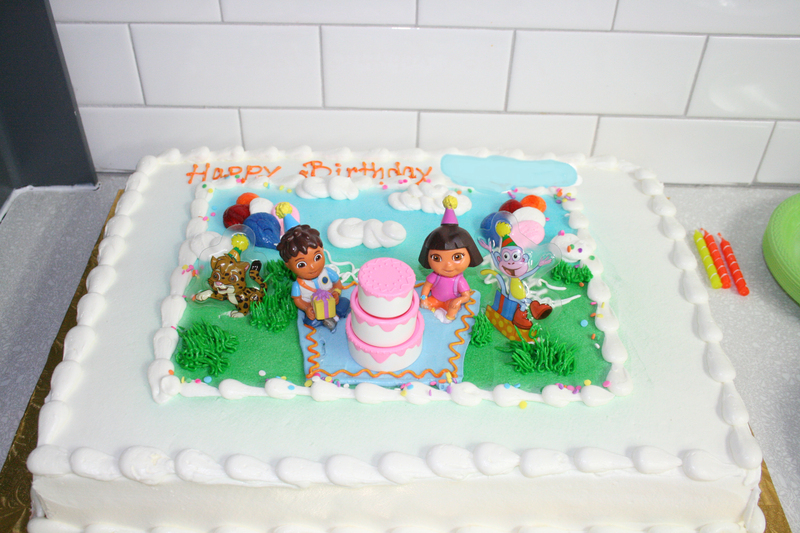 Let’s face it toddlers like fun cake, so I went with Dora and Diego. But wait! My child is allergic to food coloring!! Hence the white border around the Dora and Diego scene LOL! 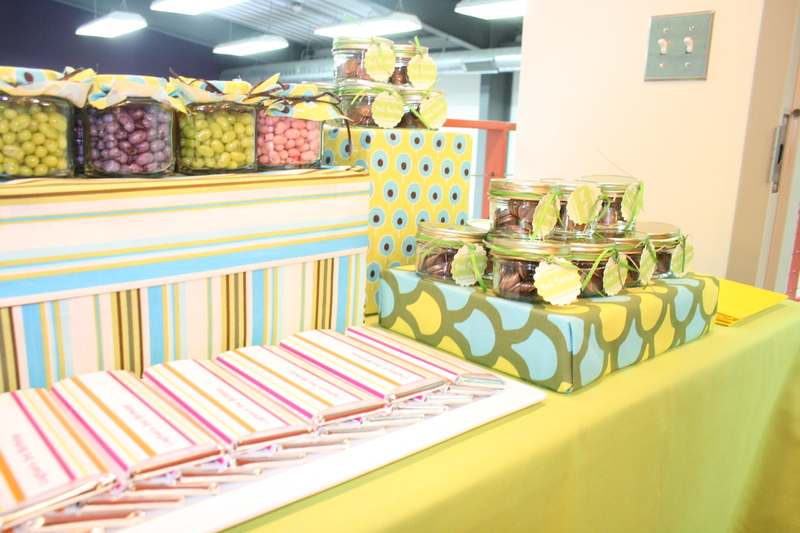 Just to make sure all the kids would have their sugar fix, custom wrapped Hershey bars rounded out the party favors! 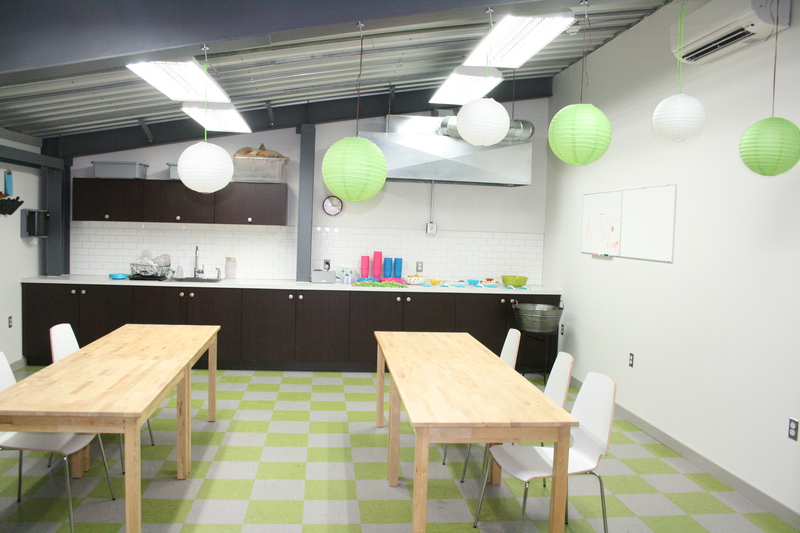 Looking for a party planner or decor specialist for your next party? book cathy and her team! 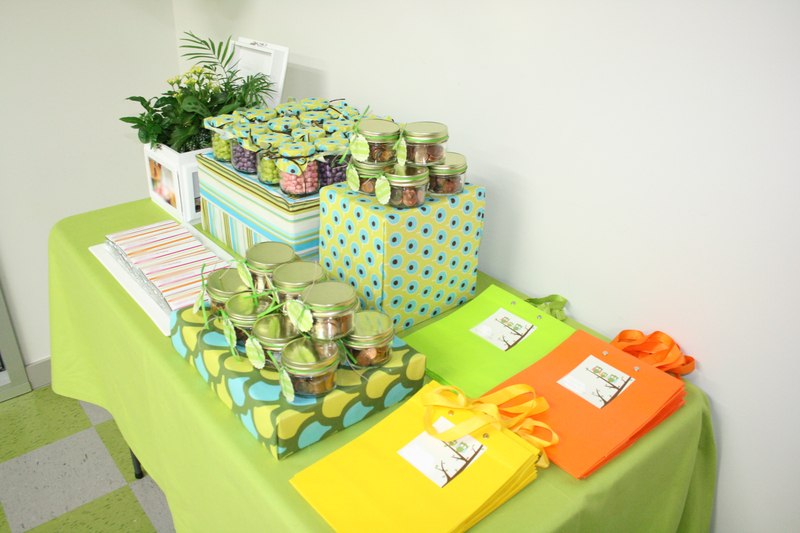 http://www.cathyhobbs.com or 800.961.5202 to get started on a fun – worry free party! Cathy’s party ideas have been featured in magazines such as Grace Ormonde Wedding Style, Wedding Bells, Martha Stewart and on CW 11 Morning News in New York City and HGTV Design Star. 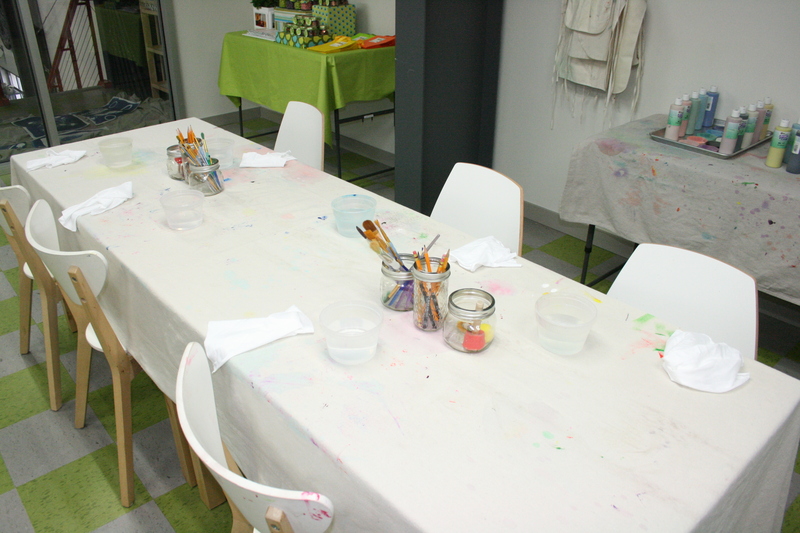 love the idea of a pottery or art party for your child? you can find fiber flame studio of saugerties at http://www.fiberflamestudio.com.